Owning rental property has many benefits, such as earning a steady stream of income and an increase in property value over time. But operating rental property also comes with heavy financial responsibilities. Whether you’re a landlord of one property or you have multiple properties, accountant Randall Dang encourages landlords to consider seeking the expertise of an accountant to help. There are several advantages to having an accountant help you with your rental property business, and below are just a few of them. As a landlord, it’s important that you stay on top of and record all financial activities. If you have multiple properties and tenants to watch over, you may accidentally lose track of things like inventory charges or missed rent payments. An accountant can compile this information and create rental accounts for each tenant so all payments and charges are tracked. As Randall Dang explains, complete and accurate record keeping is crucial to your business success. It is imperative that you maintain all income and expenses, and keep copies of receipts, bills, and checks to support your expenses. These records are used to monitor your rental property activities, create financial statements, and can be used as evidence if you are audited by the IRS. Keeping track of your income and expenses, and records of everything can be tedious and time-consuming. An accountant can effectively do this. When you file your taxes, you can claim certain tax benefits as a landlord. But to do this, you need to know what they are and how they work. 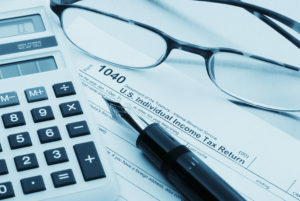 A qualified tax accountant can prepare your tax return and help you get the most from it. One of the best advantages in hiring an accountant is that you have an expert to consult with when you need help making important business decisions or are having trouble understanding something. An accountant will provide you with solutions and advice that will best benefit your business. By hiring an accountant you can focus your time and on growing your business and continue to receive timely financial reports and updates.